Differences in interpreter services models and the role they play in risk management. 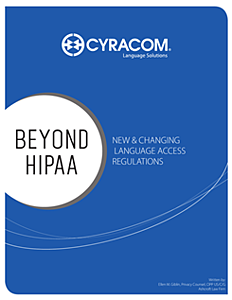 To help providers improve their LEP patient experience and HIPAA compliance, CyraCom offers free online sign-up. Get started cost-free today and pay per-minute when you use the service.